Please, No Recruiters—We are looking for authentic individual applications. We’re Maya, a creative branding & digital agency for health & wellness organisations, and anyone who shares our commitment to a happier planet, solving problems with intelligence and finesse. We support teams with our technical expertise and limitless imagination to launch, promote and nurture ideas. Manifesting our clients’ vision to a standard they never thought possible. 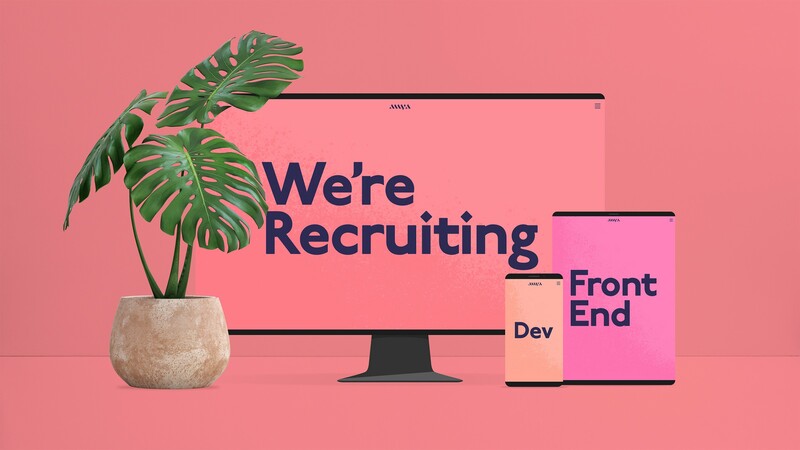 We’re recruiting a front-end developer to start from June 2019. Our UK studio is based in Central Bristol in the South West of England. We’re a creative branding & digital agency specialising in Health & Wellness. You will be part of a small development team who work closely with the whole studio on projects. As a Developer at Maya you will be expected to work as part of our development team to ensure we deliver elegant, maintainable code that meets current best practice and functions as our clients expect. To do this you are expected to be aware of, and have a view on, trends within the world of technology, development, web design, user experience and to communicate this internally, to our clients and online, to ensure Maya maintains its position as a forward thinking, technical agency. Write code to facilitate delivery of internal and client projects. Work in collaboration with the Maya design team to ensure a high quality product from design to production. Keep up to date with code related trends and best practice to constantly develop and improve Maya’s processes and techniques. Keep up to date with design trends for Web and UI and how this can best be applied to our projects. Develop an understanding of the Agency business especially an awareness of project timescales, budgets and timesheets. Act as project lead on assigned accounts to ensure they are managed effectively and clients are satisfied. Communicate with clients to advise on technical aspects of projects. Share your experience, thoughts and learnings with the Maya team to ensure we continuously share best practice. Suggest improvements to Maya’s development processes. Test your work to ensure it works across platforms and browsers. Intro yourself over email with your CV attached to jobs@maya.agency with the subject title “Front-End Dev Role”. Please, No Recruiters — We are looking for authentic individual applications. Healthy design & digital made easy. Maya means magic, and magic is what we do.